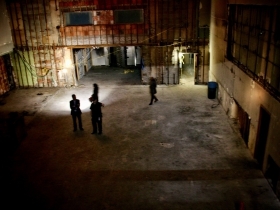 Sherman Phoenix project will rise from ashes of old bank with small city grant. Sherman Phoenix Commons Rendering. 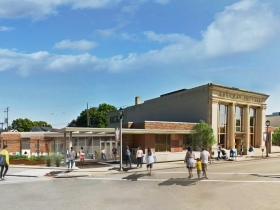 Rendering by HGA. 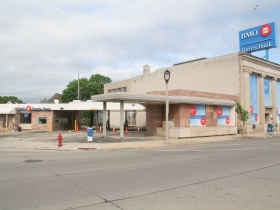 Nearly a year to the day after it was burned in the Sherman Park unrest, a creative project to redevelop the former BMO Harris Bank branch at 3536 W. Fond du Lac Ave. has taken another step forward. 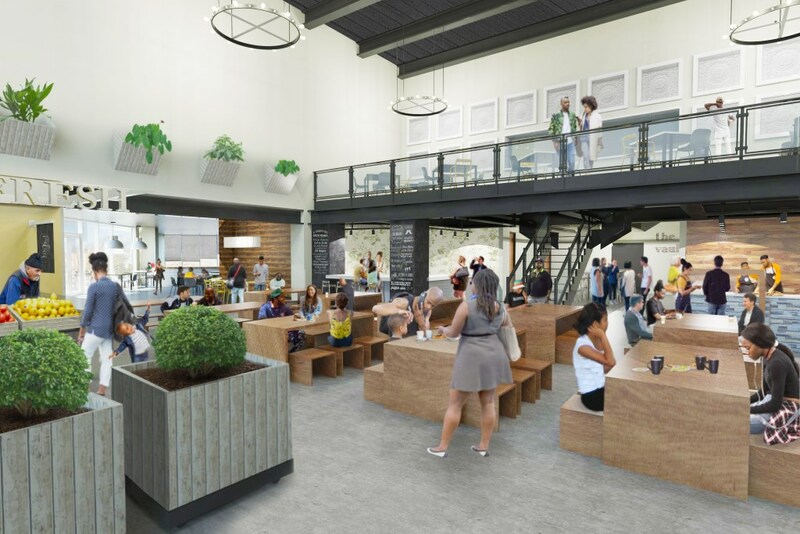 Partners Juli Kaufmann of Fix Development and JoAnne Sabir of The Juice Kitchen intend to acquire and redevelop the 24,887 square-foot bank building that had its interior burned during the August 2016 Sherman Park disturbances. 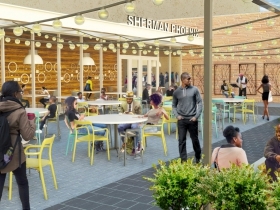 The Redevelopment Authority of the City of Milwaukee gave a city-assisted financing plan for the project, known as the Sherman Phoenix, an initial thumbs up today. 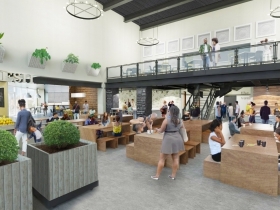 The project, which would cost $2.5 million, intends to convert the building into a public market space with a variety of vendors focused on everything from health and wellness to food and art according to Kaufmann. All of the businesses in the building would be owned by people of color. The city is proposing to support the project through a $225,000 grant from a newly created Tax Incremental Financing (TIF) district created for the project. Kaufmann anticipates a six-month construction process for the project, with a grand opening in the first half of 2018. 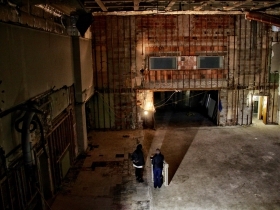 Design on the project is being led by architecture firm HGA. A general contractor has yet to be selected. 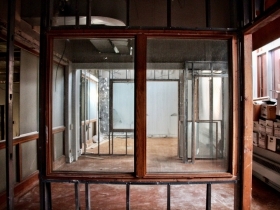 Originally built for the long-defunct Sherman Park State Bank in 1926, the interior of the building contains only the charred remains of the former bank. 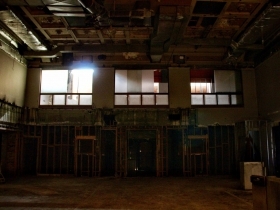 The damage from the fire renders the project ineligible for historic preservation tax credits, which makes an already challenging project more difficult to finance. Kaufmann and Sabir have raised more than $1 million to-date and the TIF grant would put them over the half-way mark. They intend to launch a crowd funding campaign this weekend. They are also seeking to raise more funds from philanthropic grants and local investors. According to Sabir, the rents from the project will sustain the building’s operations and return six percent to project investors. At a press conference in August announcing the project, the partners announced that The Juice Kitchen, Funky Fresh Spring Rolls, Embody Yoga, Sabir’s Karate Center, Hello Beautiful, RSVP Confections, Queens Closet Consignment Shop, #DreamsNeverExpire!, Sister Locs, Rees Barbershop, Studio 69 and Buffalo Boss would be tenants in the project. At the hearing today, Sabir announced that a nurse practitioner will also open in the project. In response to a question from Johnson at today’s hearing about parking, Kaufmann noted that the building is overparked. A substantial parking lot is included in the property immediately north of the bank. The project is expected to employ about 45 people once it’s up and running. While they’re exiting the building, BMO Harris Bank isn’t exiting the area. 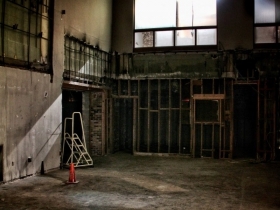 In May I covered BMO’s plan to reopen in the area. Compass Properties is developing a 2,200 square-foot “smart branch” facility for the banking giant at 3637 W. Fond du Lac Ave. The new facility is scheduled to open in November. At a ceremonial ground breaking for the bank Mayor Tom Barrett praised the commitment of BMO to the neighborhood, noting that it was within days of the unfortunate August events that BMO senior executive Jud Snyder and Barrett sat down to discuss BMO’s commitment to Milwaukee and Sherman Park. The bank is currently operating a temporary bank branch in the drive-thru area of the former bank.